Perfect opportunity for a Developer or an Investor! 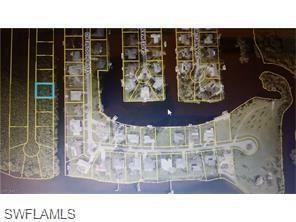 Only 4 lots in from the River and just a short boat ride to the Gulf of Mexico. Several other buildable lots are also available for sale in this undeveloped area of Yacht Club Colony zoned for 21 single family lots - 15 Waterfront and 6 Dry. Yacht Club Colony is a beautiful neighborhood with a voluntary association fee of 150.00 annually which provides access to the Community's own private riverfront park and recreation area...an absolutely stunning setting Weddings have been held there, a pavilion, dock & boat ramp. Very close to shopping and I-75! Owner has a State & County Sealed signed map indicating that it is Upper Suburban Property and not Wetlands! Listing courtesy of Donna Mitchell of Win Realty, Llc.